Here at EyeCare Plus, we pride ourselves in offering you with the highest level of eye and vision care, all in a comfortable and welcoming environment. Whether you're in need of a routine eye exam or something a little more in-depth, our experienced team of eye care professionals is here to help. 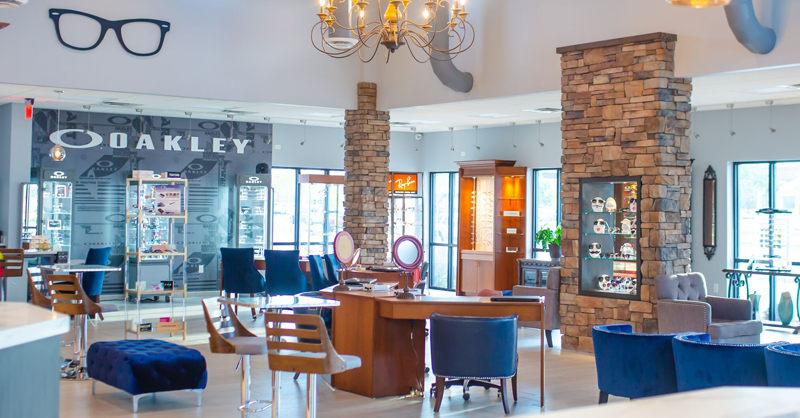 We strive to be your one-stop shop for all your eye care needs, providing a wide array of services that you and your family may need. Comprehensive Eye/Contact Lens Exams- Are you in need of your annual eye exam? We've got you covered. With our comprehensive eye exams, we'll be on the lookout for any signs of potential ocular problems or diseases, conducting any addition testing necessary. Furthermore, we'll make sure your prescription is up-to-date so your vision is sharp as possible. If you're thinking about switching to contact lenses, we can also conduct a contact lens exam, where we'll make sure you're a viable candidate for contact lenses and make a recommendation on certain types and brands to suit your lifestyle. Children's Vision Screenings- Your child's eyes develop at a very fast rate, which is why annual eye exams are so important to making sure everything is developing as it should. If your child hasn't been in for a vision screening this year, be sure to schedule one before the school year starts. LASIK Consultations- Thinking about corrective LASIK surgery to improve your eyesight without the need for glasses or contacts? Schedule an appointment with us first. We'll be able to conduct an evaluation to determine whether or not you're a viable candidate for the procedure. From there, we can provide you with a referral to a local professional to have the procedure done, working with your surgeon to offer you the best post-operative care as well. Eye Disease/Syndrome Evaluations- Eye diseases and other ocular conditions can manifest themselves at any time, but many are common among seniors over the age of 60. Glaucoma, cataracts, and dry eye are all common eye conditions that we diagnose, treat, and manage right here in our office. Regular visits to your Amarillo eye doctor are recommended to catch signs of these problems and treat them before they become a major hindrance to your life.